Today I am going to write a brief blog post about the importance of these swag bags and how they can really help your business grow. 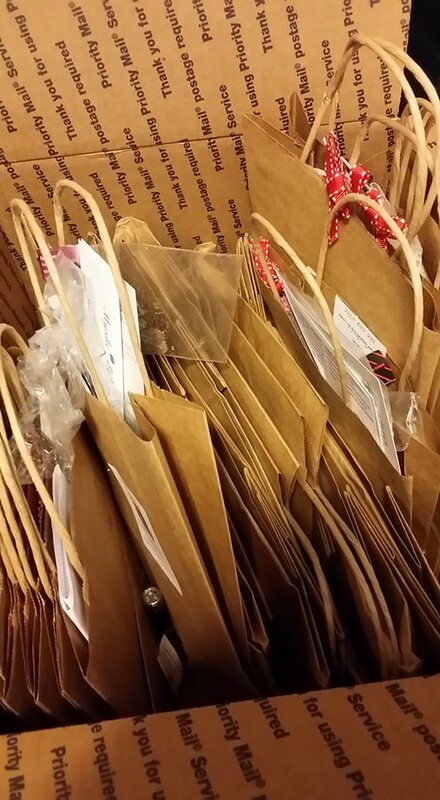 As a member of the Pagan Business Network I happily supply samples of products with my business card for these bags. I know that they can bring me in customers that I would not meet otherwise. I know that these bags can extend the reach of my business by being at events that I can’t attend and much more. What is swag? What can I make as swag? Why is swag a good thing? Can I participate? Swag are bits and bobs that you send out attached to your business cards. Swag is essentially something with your business name on it. This allows you to get your business name into the hands of many other people. These are items given out as promotional freebies at events all over. Many different types of events have door prizes, raffles, and or free stuff. Swag is that free stuff. Now you may be wondering what sort of things you can send as swag. You can really send anything. It all depends on what your business is and how creative you can be. 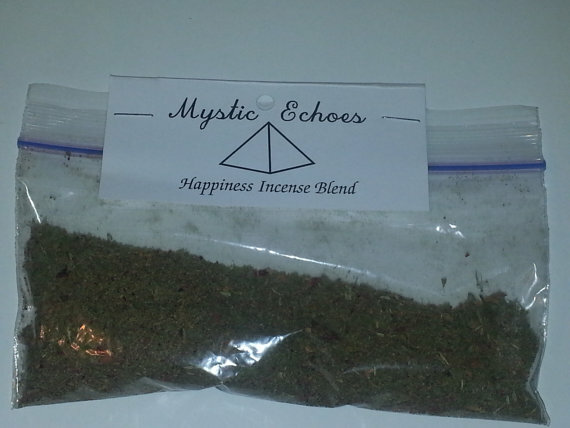 For Mystic Echoes I have typically sent out small packets of herbs, packets of our incense blends, our powders, and the baths. I have not yet sent any of the oils or tinctures because I lack the sample dram bottles to do so. When I have some of those available I will start to send out samples of my oils for people to have as well. I’ve gotten a key chain as a swag piece before. If you make jewelry key chain charms are an excellent way to produce swag. This is actually an area of swag I am starting to get into. I know for myself when I make jewelry I often times have a few left over beads that wouldn’t be enough for a pattern of any sort. Keychain charms as swag are a perfect use for those excess charms. Just throw them in a small bag with your business card and you have some swag! Do you make leather work? Leather sealed Bookmarks would be an awesome bit of swag. Rounders that could be used as heat pads would also be great swag. Braid a few pieces together and tie it to a key chain. These are all awesome ideas for leather working swag that can be made out of left over or scrap leather. Do you make bath teas or salts? How about incenses, and powders? For myself when I package my products there is always a bit left over. I used to just keep it all for myself and personal use. Now I bag it in a small sample bag and send it off as swag. The same goes for my herbs. Often times I have some left over that is not enough for a full package. I bag it and tag it in sample bags. Boom. Its ready for swag. The same concept can really apply to basically any sort of herbal product. If you make soaps, or lotions get small sample sized jars and place any left overs into those packages. The idea is to have something of yours that can get the attention of potential customers all over the country. I’ve gotten wax melts as swag from candle makers. I’ve gotten tiny vials of homeopathic oils and remedies as swag as well. They have all been ways for me to get products in my hand that I might not otherwise I received. Its how I was introduced to Sages Aromatherapy as well as Charissa’s Cauldron. For psychics and readers or healers a coupon card on your business card would be a great way to get attention. If you work with runes you could make mini runes and send them out. The idea is to represent yourself and what you make or do. Its up to you and your creativity to decide what works best. For me as a business owner I see it as a chance to have free publicity in locations that I would not normally be at. I’ve had swag at events all over the country now. I’m personally currently limited to Maine, New Hampshire, and some places in Massachusetts and Connecticut. While that is a decent range I’d like to have customers in Nevada, Texas, Washington State, Florida, and many more. One of the ways I can reach customers in those locations is through the swag bags. They get a sample product in their hands as well as my contact information. This extends my reach as a business owner. For me as a customer I love seeing all the different things that people put together. One author who specializes in family and children had mini bottles of bubbles in the swag bag. 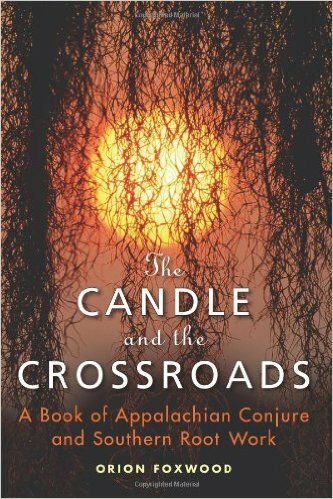 Other authors had put in a postcard flyer with their e-books and a book mark with book titles. This was where I got a sample of body butter from Sages Aromatherapy and Oils as well as a bottle of an essence blend from Charissa’s Cauldron. It is because of the swag bags that I have many more new businesses to look at and spend my money at. So in essence swag bags are a minimal to no cost way to promote your businesses. You’ll reach customers in places you might never be able to get to and many more people will know your name. Word of mouth is a very powerful thing. Just be sure that anything you send has contact information (website, e-mail, facebook etc). You want the customers to be able to find you incredibly easily. 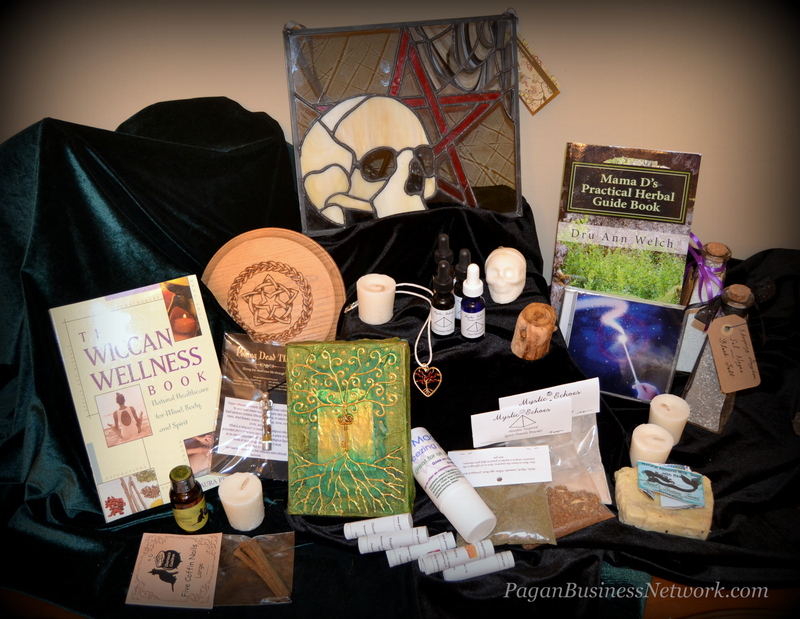 One of the resources I have been taking advantage of as a member of the Pagan Business Network is the use of trades. I will trade some of my products with members of the network for some of their products and or services. The other part of the exchange is that I write a review about my experiences with the products and then share it around. The products in the above photo are some that I traded for and this is my review. Before I get into how the products worked for me and my experience with the products I want to spend some time talking about the customer service this company provides. One thing I asked about was if they planned on getting different labels that included the ingredients on them. They responded happily with a thank you for the suggestion and that it was something they had in fact been thinking of doing. When I mentioned to keep the information insert as well they were happy to know that the information on the sheet was useful in educating people about the reasons behind why the herbs worked for this product. The best experience I had with this business was when I asked about a specific product. I get headaches frequently while I am working. Its not just from the stress but also from my eyes, anxiety, caffinee and or lack of water. So I wanted to have the balm with me at work. When I opened it for the first time this balm was essentially liquid. It exploded basically everywhere. I lost a bunch to my clothes and the counter. I asked the owner about this. She was shocked to hear about it. As soon as she was able to she sent me another batch of the balm. This time when I opened it I could use it and it was solid. The fact that she sent me a brand new free batch was great. I was thrilled. I tried it later that night and was happy with the results. So I have to give them two thumbs up on customer service. At first I was disappointed in this balm. It did not have immediate effect which is what I am used to. 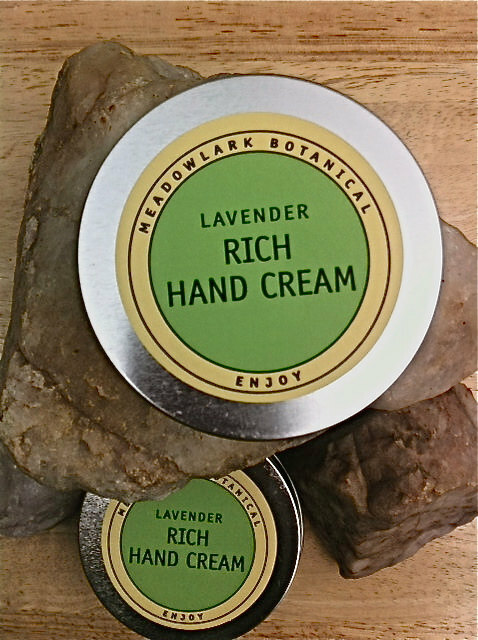 A similar holistic product I use has an almost instant relief to it without needing a deep massage. I decided though that I would give it an extended try. During this extended trial I applied the cream with a massage to the very specific location rather than the general location. Once I started applying it with a massage and to specific points rather than general points I was able to get the relief that I was used to. It lasts for me about 4-5 hours. After that I need to apply it again. My issue with this item is that it stains. Before I used this cream I had no yellow stains on my blanket. This cream left stains on the blanket. This was with me rubbing it and massaging the balm into my skin and the effected areas as much as I could. Even then the little oil left on the top layer of skin still stained my blankets. It also stained my underwear long the edges where my legs would have touched it. The other issue I have was the strong menthol scent. It was overpowering. One day I applied it to my knees before work so I could be comfortable at work. My fiance’ commented that the scent was too strong and to not use that again. I have tried to use less, but the scent is still overpowering. Yes it is effective but its stronger than the almost pure menthol product I buy for my fiance’ from the store. With my day job I am on my feet all day. I run around the store helping customers find what they are looking for. When not putting away stock, putting away put-backs /unpurchased items, or helping customers find products I am standing in place at the register. My feet are sore after a days work. This product here is a wonderful treat for my feet. I have found that this helps relax my muscles after a day of working. It doesn’t relieve the pain persay but it does help my feet to relax. 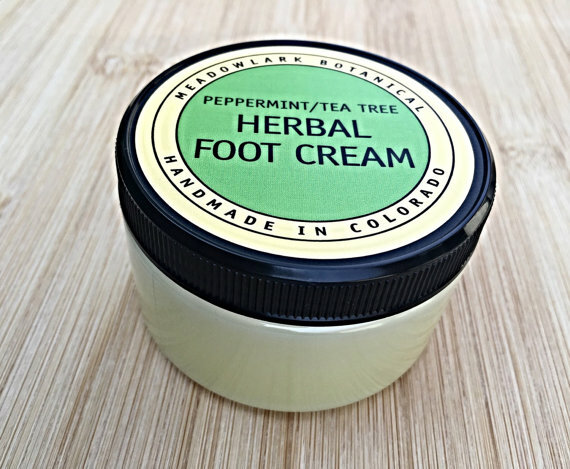 By rubbing my feet with this balm after a long day of work I also relieve some of my stress from the shift. A lot of stress is held in the feet. 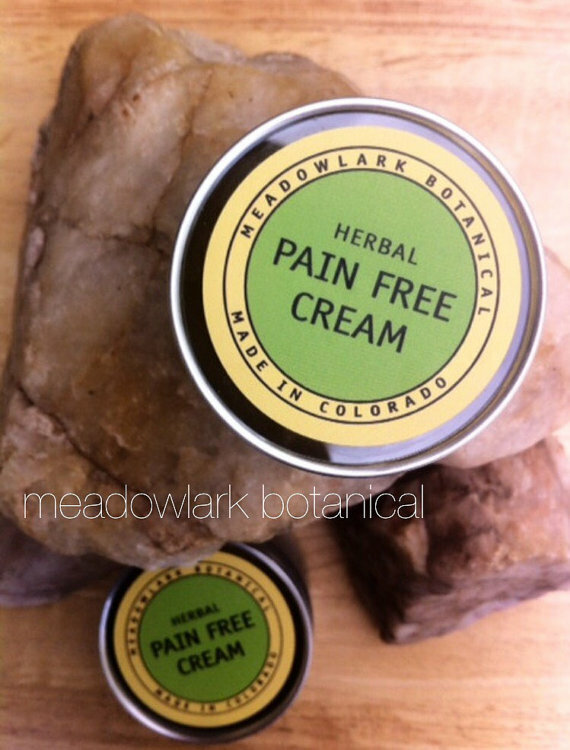 In order to relieve the pain I am feeling in my arches I typically add a small batch of the pain free balm that was mentioned earlier. I’d actually like to see the two combined so you have stress and pain relief that can be applied to all muscles not just the feet. Perhaps they will take that into consideration. This year I have started to deal with headaches far more often than I ever did before. One of the main headache issues I have had have been sinus related. 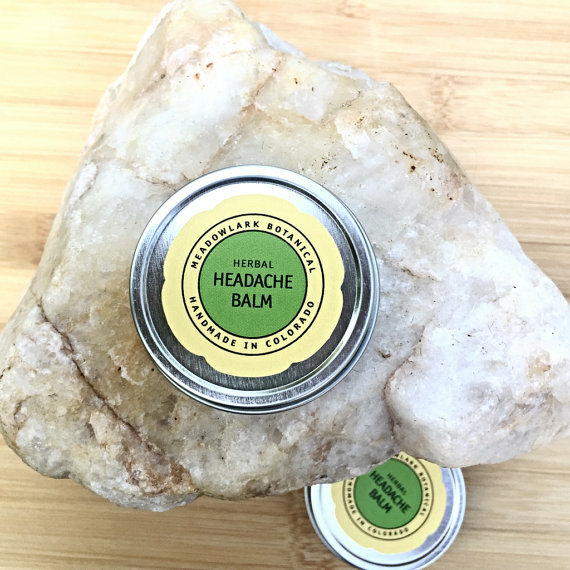 This balm when I tried it in a liquid form was the only thing that has worked for my sinus pressure and pain without congestion. I applied a small drop to the bridge of my nose and felt instant relief. The menthol and mint oils are high in this mixture so my eyes did water a bit. My suggestion would be to find a variation on this recipe that uses a little less mint and menthol and maybe add a few congestion or sinus oils. That way you can have a product for sinus headaches and sinus pressure as well. The only other thing I have to say is that it works just as well for day to day headaches. I apply a bit to my temples, the base of the neck, and my third eye. For me this helps me release all my pressure for my headaches. Often times they are in the front of the brain which is why I use the third eye chakra as a position to place the balm in. I only use a little bit though as too much wil make your eyes water from the mint and menthol. This is an item that was actually a surprise for me. It was not an item that I had asked for in the trade. She included it as a free gift sample for which I am very thankful. I will probably be ordering a batch of this for myself when my sample size is done. I’ve had this sample for months and I am still working with it. Its hard for me to find hand or body lotions that I can actually use due to my sensitive skin. This is one of the ones I can use. I’m glad I have it. I will use it for a while longer. Like I said it is one of the few lotions I have been able to find for myself that works and I enjoy the scent and feel of. Many of the issues I had are my own for not reading the directions as best as I could. The owner of this business did send paper work on each of the products given to me. 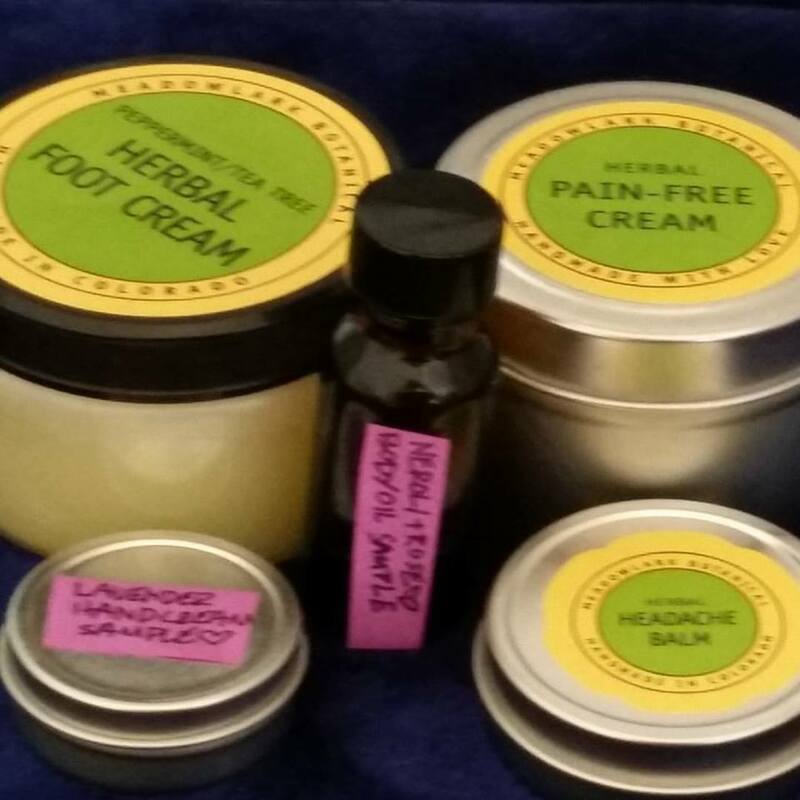 While it doesn’t mention that the Tumeric in the pain relief cream can stain, it does mention its best applied to specific points rather than a general area. Had I paid more attention to the entire paperwork I would have had faster results with the Pain Free Cream. They also warned about the peppermint in the headache balm and not going near the eyes for that reason. This business owner is very well educated on their products and services. The information sheet goes into detail about the herbs chosen for the products and why they work. 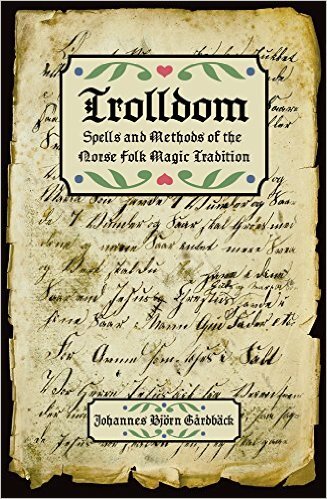 In some cases they even mention this history of the herbs use in medicinal practices and from which cultures they were used in. They know not only their products but their particular service well. They are very professional and work hard to get their business seen and known. If you are looking for vegetarian organic homeopathic products then this is the company for you. Its well made and the containers are perfect for the product. Packages are neat and professional looking. Everything works as they say it does, just be sure to read the directions carefully or you may miss information like I did.